Make cooking family meals easier with this versatile GE 5.3 cu.ft slide-in front control induction range. The 3700W induction element provides fast, even heating, and glide touch controls make changing the temp as easy as swiping. This GE range is Wi-Fi compatible, so you can monitor and control cooking from your smart device. 1.1 cu. ft. SpaceMaker Microwave Oven in Stainless Steel Set the GE SpaceMaker on a countertop or build it seamlessly into your kitchen cabinets with one of the many optional kits available, either way you're sure to love all of its innovative features! The Electronic Scrolling Digital Display gives you ultimate flexibility - program several functions at once for meal preparation. The Instant-On Popcorn Button maximizes popping without scorching your favourite snack, and the Child Lock-Out function allows you to lock the control panel completely to prevent the microwave from being accidentally started or used by children. 1.1 cu. 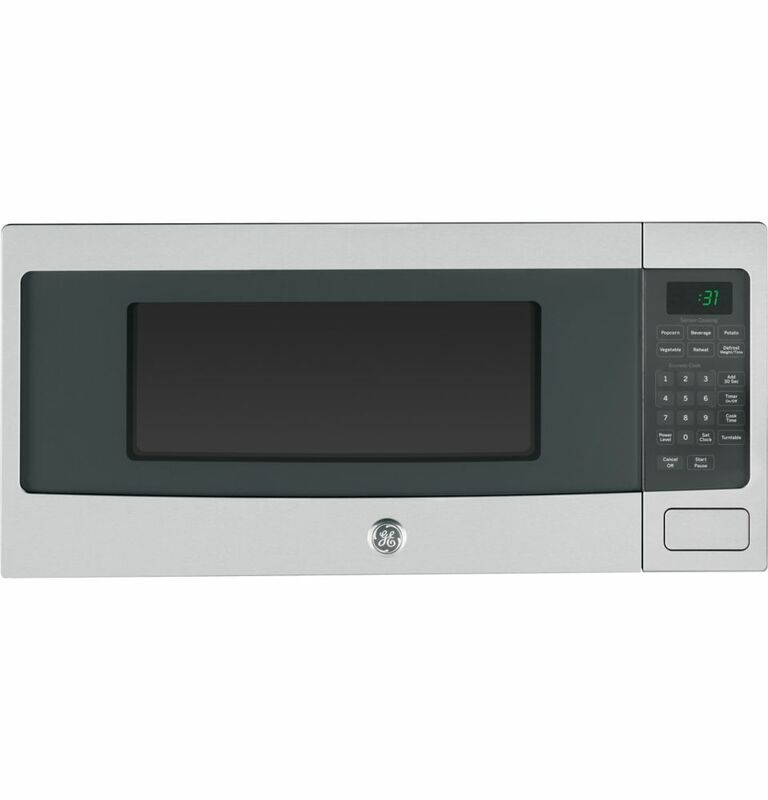 ft. SpaceMaker Microwave Oven in Stainless Steel is rated 4.0 out of 5 by 1161. Does the optional Hanging kit come with the microwave?